Madonna to Premiere 'Medellín' Video Live On MTV - Pop It Records - NEW MUSIC EVERYDAY! Madonna fans, rejoice — a new music video from the Queen of Pop is arriving next week. On Wednesday (April 17), MTV announced that the superstar’s new video for her track “Medellín” featuring Maluma would be premiering in a globally televised MTV music event on Wednesday, April 24. 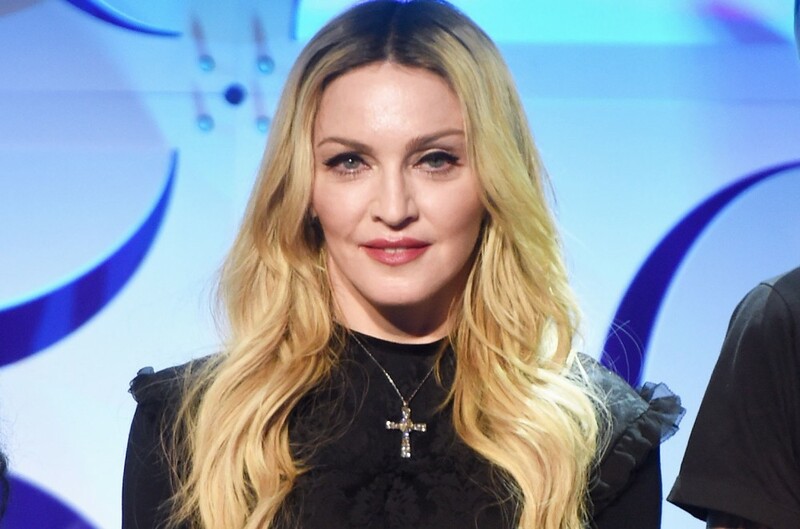 Taking place in London, the event will have Madonna and Maluma (calling in from Miami) chatting with stars like Sway Calloway and DJ Trevor Nelson about the new track. The “Like a Virgin” singer will also be taking questions via satellite from fans in New York City, just one of the four official locations (including London, Milan and São Paulo) for fans to celebrate together. Fans who want to win an opportunity to be in one of the live audiences can find more information on Madonna’s website. The news comes just after Madonna finally revealed the title of her upcoming album, Madame X, after weeks of teasing fans with cryptic photographs and tweets. “Medellín,” her first single off of the new project, is available to stream now. “MTV Presents Madonna Live & Exclusive: ‘Medellín’ Video World Premiere” will air Wednesday, April 24 at 4 p.m. EST live on MTV.